especially in the management of patients undergoing cardiac and liver surgery. sampling and handling, strict quality controls and trained personnel are required. Accepted for publication December 28, 2007.
or manufacturers of products related to this study. 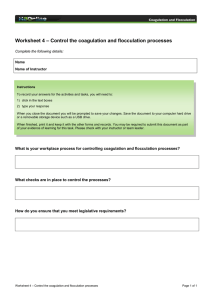 Address correspondence and reprint requests to Christoph K.
blood cells to provide useful information on PF. 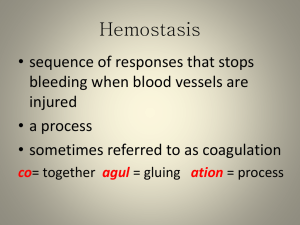 (e.g., overt bleeding in the surgical site). but will not be discussed in this review. performed using Hemoscope instrumentation only. blood sample and oscillates through an angle of 4°45⬘. movement is initiated from the pin, not the cup (Fig. for example, R/CT or MA/MCF. (3) oscillating in blood sample mounted on electromechanical transducer head (4), data processing (5). 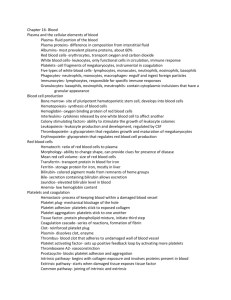 rate; PF ⫽ platelet function. For detailed description and reference values, see Tables 2 and 3.
calculated with the help of a calibration curve. plastic probe is mounted on the transducer head. Then, the test sample is added to the cuvette containing different coagulation activators/inhibitors. 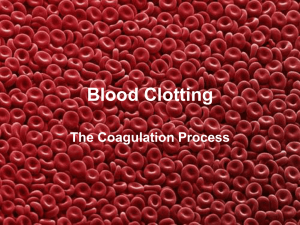 imposed by the developing clot are measured (Fig. are shown in Table 4. ACT ⫽ activated clotting time; TF ⫽ tissue factor; ADP ⫽ adenosine diphosphate; GPIIb/IIIa ⫽ glycoprotein IIb/IIIa receptor. * For research use only (not yet on the market by 2007). TEG/ROTEM威 begins to be impaired after fibrinplatelet bonding has linked the cup and pin together. samples) higher compared with ACT values determined by Sonoclot. 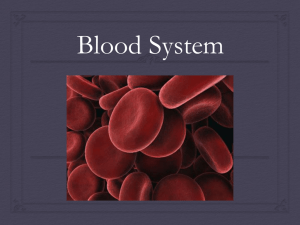 values depend on reference population, blood sampling technique, other preanalytical factors, and coagulation activator. glycoprotein IIb/IIIa receptor. * For research use only (not yet on the market by 2007). 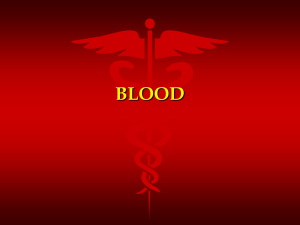 TEG姞: values are given for kaolin activated blood samples 关Haemoscope Corp.兴. samples (6). For abbreviations see Table 2.
prevented from activation so that clots do not form. 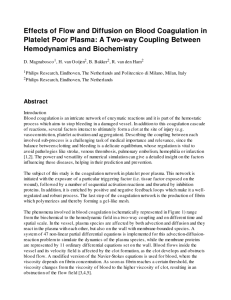 After surgery, coagulation abnormalities, platelet dysfunction, and fibrinolysis can occur, creating a situation whereby hemostatic integrity must be restored. viscoelastic POC tests may be useful in early identification and targeted treatment of a surgical bleeding. Values are given for native whole blood 关Sienco Inc.兴. For specific details on assays, see Table 1.
of low molecular weight heparin and heparinoids. TEG/ROTEM威 reflects overall PF and fibrinogen levels. locally activating hemostasis at sites of vascular injury. to reduce bleeding and transfusion requirements. 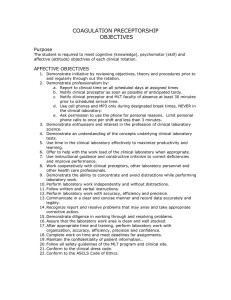 prolonging for example celite activated ACT tests. signatures) are submitted real-time to the patient’s site. devices, would be highly desirable. that quality controls are not done on a regular basis. 4. Hett DA, Walker D, Pilkington SN, Smith DC. 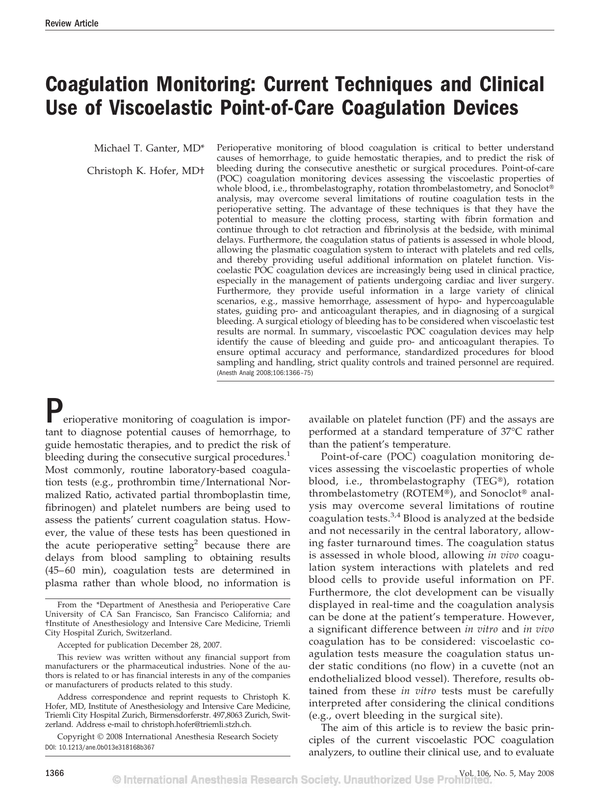 Sonoclot analysis. by sonoclot in patients undergoing cardiopulmonary bypass. 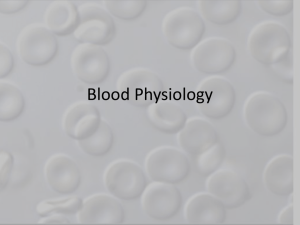 utility of available methods for determining platelet function. 26. Forestier F, Belisle S, Contant C, Harel F, Janvier G, Hardy JF. 32. Anderson L, Quasim I, Soutar R, Steven M, Macfie A, Korte W.
the assessment of hypercoagulability during general surgery. 59. Di NM, Middeldorp S, Buller HR. Direct thrombin inhibitors. assay: a comparison to a standard activated clotting time. BS. Inhibition of platelet-mediated, tissue factor-induced thrombin generation by the mouse/human chimeric 7E3 antibody. 63. Tanaka KA, Katori N, Szlam F, Sato N, Kelly AB, Levy JH. 64. Rand ML, Leung R, Packham MA. Platelet function assays. 67. Carroll RC, Chavez JJ, Snider CC, Meyer DS, Muenchen RA. 73. Ganter MT, Schmuck S, Hamiel CR, Zollinger A, Hofer CK. 75. Vincent JL, Rossaint R, Riou B, Ozier Y, Zideman D, Spahn DR.
76. Sorensen B, Johansen P, Christiansen K, Woelke M, Ingerslev J.
is dependent on antithrombin activity and mode of activation. 79. Schmuck S, Ganter MT, Hamiel CR, Zollinger A, Hofer CK.